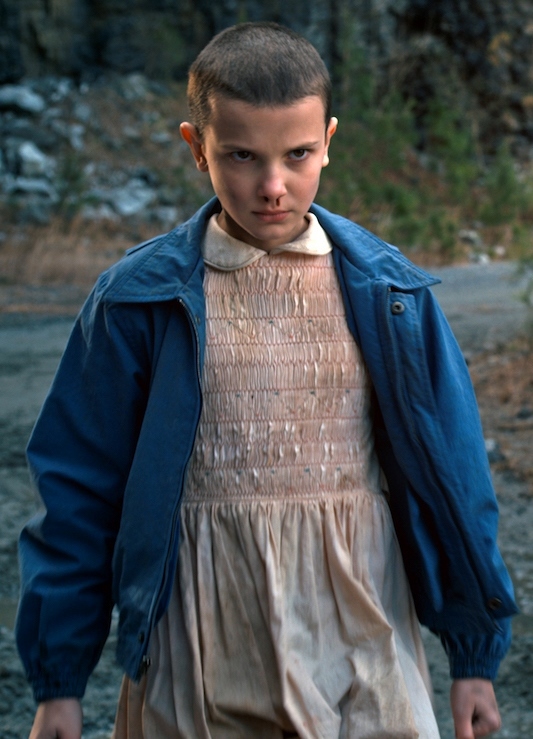 She's Fantastic: Stranger Things - ELEVEN! Overall I love this figure. But it has a couple problems. First of all, there is something not quite right about the articulation in her ankles. I can't tell exactly how the joints are structured, but they aren't engineered quite right and therefore she needs the figure stand to prevent her from toppling over. My other issue is that the sculpt comes very close to a great likeness of actor Millie Bobby Brown, but there is something about the overall shape, size, or angularity of her head that seems a little off. Or maybe her neck is just a few millimeters too short. Again, it's a great figure, but it's my duty to nitpick. 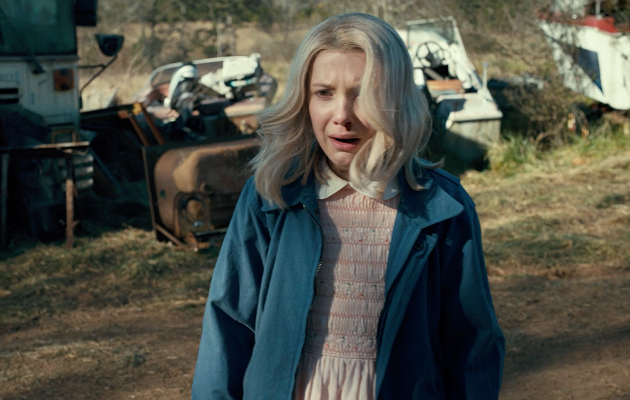 Eleven comes with two extra hands, a walkie talkie, one of her trademark Eggo waffles, and a wig. The wig is a fun accessory but it's pretty much a mess. Actually this is probably a more accurate depiction of what an old shake-and-go Halloween wig would look like compared to the unrealistic lacefront fantasy thing she wore in the show. Here she is with the Funko ReAction figure. Awesome figure and I like the scale. Wish they would release more than 2 at a time.